Pimlico Racecourse in Baltimore, Maryland is the venue for Saturday’s Preakness Stakes. It is the second leg of the American Triple Crown and all eyes will be on California Chrome as he bids to follow up his Kentucky Derby triumph. Connections of California Chrome are confident that a minor throat irritation will not adversely affect the colt’s chances at Pimlico. The Art Sherman-trained Kentucky Derby winner has a small throat blister and is being treated in the run up to Saturday’s race. The colt is an odds-on favourite for the $1.5 million contest but Sherman has had confirmation from his veterinary staff that it is all systems go for Saturday. Sherman is more concerned about there being only a two-week gap between the Derby and the Preakness. Many pundits believe that a faster pace could be the biggest threat to the favourite after winning a slowly run Derby. Rivals include Bayern, Social Inclusion and Pablo Del Monte who all like to be up with the pace. 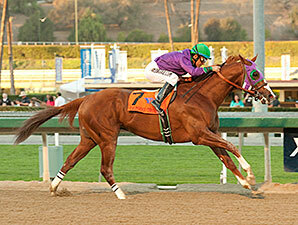 California Chrome has won his past five races and is clearly the class horse of the race. He is quoted at 4-7 by Bet365 and could go off at an even shorter price on the day. Jockey Victor Espinoza has been in this position before having won the first two legs of the Triple Crown aboard War Emblem in 2002. America still awaits a Triple Crown winner to follow in the hoof prints of Affirmed back in 1978, ridden by “The Kid” Steve Cauthen. The Preakness is the shortest of the three Triple Crown races at nine and a half furlongs and a fast pace is virtually assured. Second favourite Social Inclusion finished third in the Grade I Wood Memorial Stakes after winning his previous two races. He missed the Kentucky Derby so may be fresher than the favourite and has to be respected. Success for Bayern would provide female jockey Rosie Napravnik with a famous victory. The horse is trained by five-time Preakness winner Bob Baffert and is reported in great form ahead of Saturday’s race. Ride On Curlin was a disappointing seventh at Churchill Downs and jockey Joel Rosario is a new man in the saddle. Kid Cruz is a son of Lemon Drop Kid and won the Federico Tesio Stakes here last month for Linda Rice. Dynamic Impact is on a hat-trick after narrow victories at Oaklawn Park and Hawthorne while Ria Antonia is the only filly in the field.